I divide my time between New York City and a farm in Jefferson NY. I was born in NYC. I always wanted to be an artist and loved animals, especially dogs and horses. After Industrial Art High School, I studied at the school of Visual Art, Pratt Institute and the Art Students League. 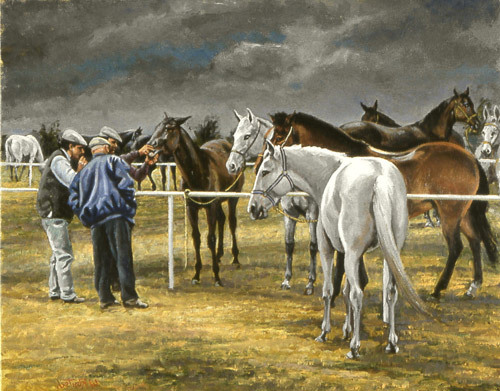 I worked as a freelance artist in advertising until 1973, before becoming a full time fine artist and concentrating on my true love, painting horses. You often paint horses in motion, what discipline do you identify with personally? I always admired the beauty of a horse in motion when watching western movies as a child. 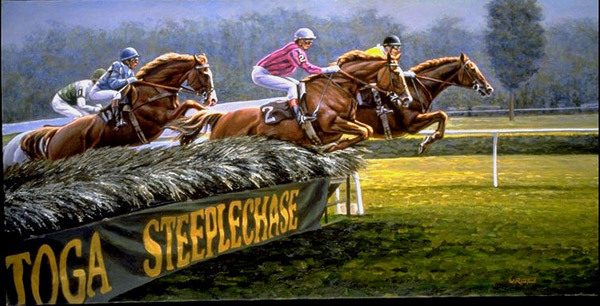 When I started to paint horses I spent a lot of time at the racetrack and with riders of the US Equestrian Team. But the most important influence on my work are my horses. I love to jump and trail ride, and now am interested in Dressage. You aren’t just about horses, what other animals do you identify with? I identify very much with dogs. I have always had a dog and they are an important part of my life. Recently, however, I have traveled to Africa several times to visit my son who works in conservation in the Serengeti. 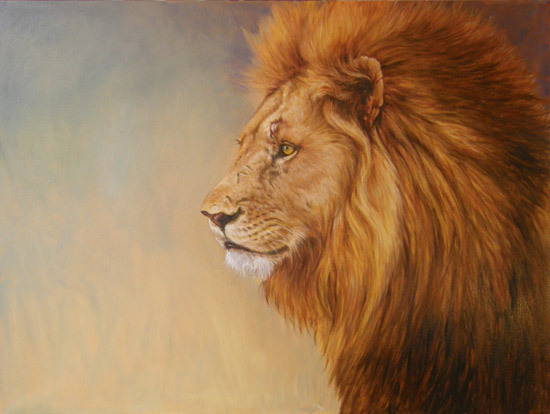 Being able to observe African wild animals up close has opened up a completely new world to me as an artist. As a boy, I always admired the work of Frederic Remington and Charles Russell. Now that I paint horses full time, I must say it is Sir Alfred Munnings. 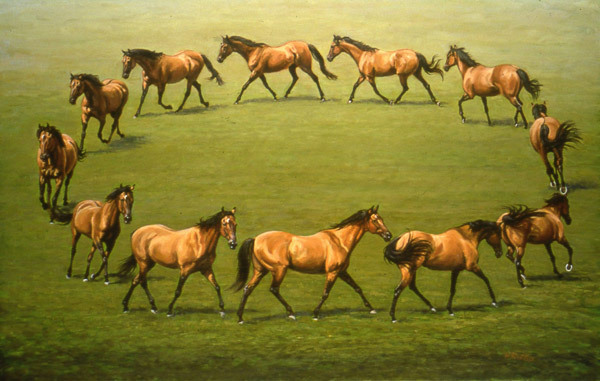 I also look at the work of George Stubbs for his anatomy and love Edward Hopper’s light and composition. Yes. It was my first horse Allegro. Before I got him, I painted rural landscapes much like Eric Sloane or Andrew Wyeth. But Allegro inspired me in so many ways. He was a palomino-colored grade with great confidence, ability and the patience of a saint. From the moment he arrived, all I wanted to paint was horses. I am always thinking about painting. Wherever I go, it may be the barns at Saratoga, a horse farm in Kentucky, a polo match in Florida, a gipsy horse sale in Spain or spending time at my farm with my horses. Sometimes I think about a particular subject that I want to paint in my sleep. What effect do you see the Internet having on art? I think that the Internet is having a tremendous effect on art. It is making your work assessable to the whole world. It can open up markets that you would never be able to reach any other way. When I was President of the Academy of Equine Art, I would search the web looking for new artist that I could invite to show in special academy “Invitational” exhibitions. I found that when evaluating the work of unknown artists it is always better to be able to see a body of work. The web gives you that opportunity. Yes, I have been able to sell my work on the web. I have had galleries contact me after seeing my work on the web, and I have been inspired by the work of other artist I have seen on the web. On the other hand, showing your work on the web can also create some copyright problems. I have had some of my work copied from the web and used for commercial purposes. How do you go about selecting your subject? 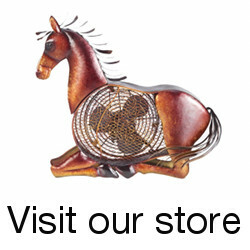 I am always thinking for new ways of depicting the horse. 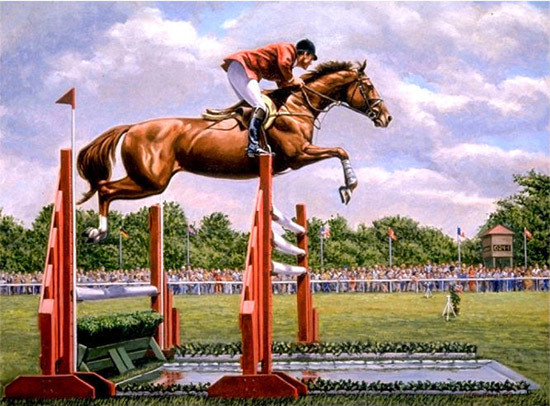 Aside from the humane figure, the equine image is one of the most depicted subjects in the history of art; It is always a challenge for me not to repeat what some other artist has already done. My paintings are always drawn from my personal experience. I find it hard to make a painting feel right if I have not seen it with my own eyes. 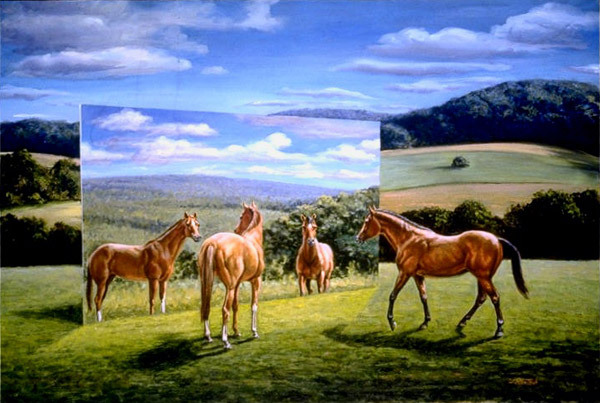 I feel that my painting “Equine Reflection” worked for me. I thought about how I wanted to do it for over a year before I could paint it. It is a study in light, reflected light, mirror image and being able to see what is in front of the mirror and behind the viewer all at the same time. Art aside, what else are you Passionate about? I am passionate about life. I am passionate abut riding horses, fishing, canoeing, x country skiing, travel, experiencing new things and Africa. I am learning to paint Lions, Hippos, Giraffes, Warthogs and Zebras. Thanks to Werner for taking the time to answer my questions about him & his work. Be sure to check out his Facebook page to learn more about him & what he’s up to. This entry was posted in Interviews on March 2, 2010 by The Equinest.